The Humboldt County Sheriff's Office is investigating its first homicide of 2018 after a man died of a gunshot wound this morning while being rushed to Jerold Phelps Community Hospital. According to a press release from the Sheriff's Office, deputies were dispatched to the Southern Humboldt hospital shortly before 5:30 a.m. after a passerby found the young male victim lying on the side of Alderpoint Road. The passerby tried to take the gunshot victim to the hospital but he died en route. The victim has not yet been identified, but is described as standing about 5 feet, 8 inches tall, appearing to be in his mid 20s to early 30s with a dark complexion. The Sheriff's Office asks anyone with information about the shooting or the victim to call the numbers below. 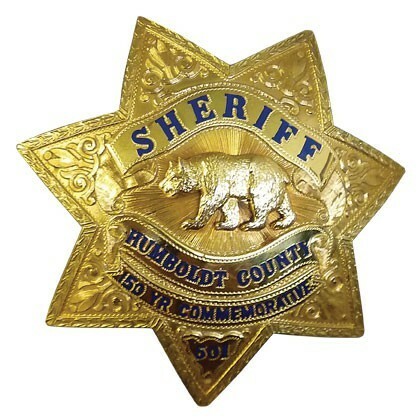 The Humboldt County Sheriff’s Office is investigating a homicide that occurred early this morning in Southern Humboldt. Sheriff’s deputies were dispatched to Jerald Phelps Community Hospital just before 5:30 a.m. on Monday, Jan. 1, 2018 for the report of a male gunshot victim. The victim was found lying on the side of Alderpoint Rd., between Bell Springs Rd. and Alderpoint, by a passerby driving in the area. The passerby transported the victim to the hospital. The victim succumbed to his injuries while en route. The victim has not been identified. He is described as a dark-complected male, approximately 5 feet 8 inches tall, in his mid-20’s to early 30’s. Anyone with information regarding the identity of the victim or related criminal activity is encouraged to call the Sheriff’s Office at (707) 445-7251 or the Sheriff’s Office Crime Tip line at (707) 268-2539.